Overview... an investigative journalist at The Boston Globe. Michael starts investigating a possible cover-up of child molestation accusations in the Catholic Church. The story continues to grow and grow, crushing Michael’s rosy view of the world and forcing disillusionment upon him. Personality… trusting, moral, and strong-willed. 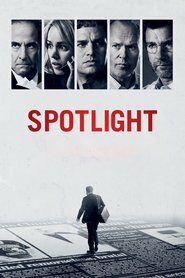 Michael continues to pursue the investigation even when other members of his Spotlight Team begin giving up hope. Michael has a personal stake in the Catholic Church, and he owes it to himself to get to the bottom of this story, no matter the cost. Mike Rezendes's popularity ranking on CharacTour is #4731 out of 5,000+ characters. See our top-ranked characters and read their profiles.